J3media, Author at J3media, Inc. J3media, Author at J3media, Inc. It just keeps on getting sweeter, here’s the inside scoop. 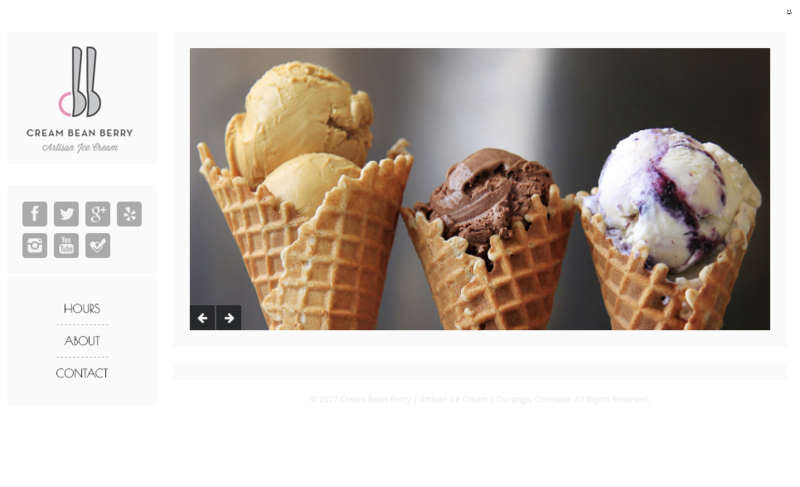 J3media has launched our tastiest website yet! 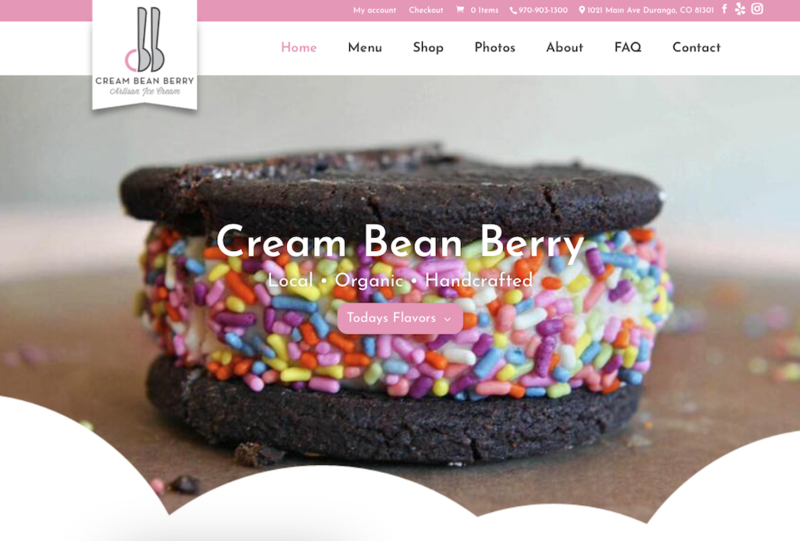 Cream Bean Berry’s website has been redesigned from the ground up. We knew early on we wanted the new look and feel to be fun and fluid. We achieved this by adding subtle animations and using dynamic content. Ice cream is the coolest. Visit us in our downtown Durango, Colorado office for a free consultation. We can set you up with a service package that best fits your business needs. Whether you want it all or just want a few of our services, we’ll consult and collaborate with you to make sure we create the most effective plan possible. We look forward to working with you in the future! Contact us. 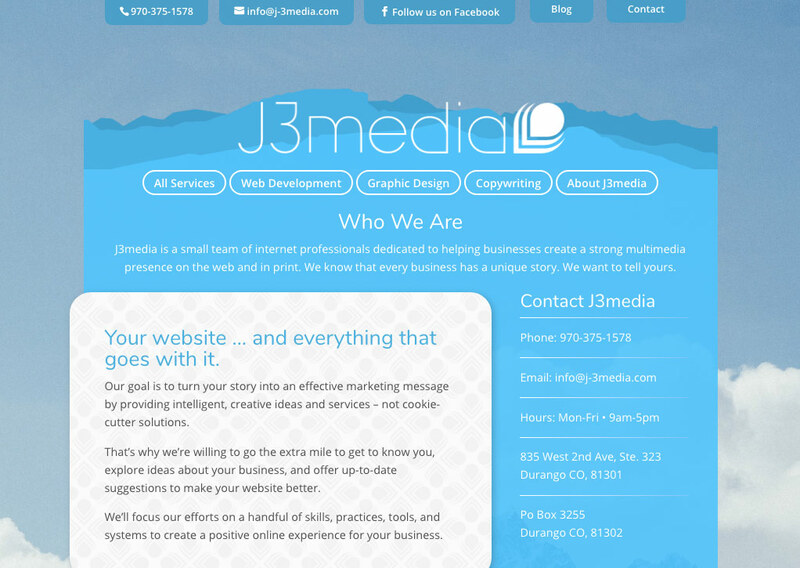 Welcome to the new and improved J3media website! We’re glad you found us. This redesign has been a long time coming, but we finally decided to foster our own (inner) net child. It took some time to rebuild and re-energize the site, and we’re proud of what we created. Check it out, and let us know what you think. We can’t wait to help your business develop and thrive! So, how exactly can J3media help your business succeed? The J3media team is dedicated to helping businesses achieve online success through professional website development, graphic design, social media management, copywriting, and email marketing. We also maintain relationships with several leading web hosting and domain name providers to create the best home for your website. Let us help your business develop an online presence from scratch or hire us to simply improve your existing efforts. J3media has been a website development and web hosting company since birth, however, we’ve come to realize that a great website alone isn’t enough. The internet is a confusing maze, and your business needs to navigate through it using every tool available. This means putting extra effort into strategies like social media management, blog writing, email marketing, and professional copywriting. Luckily for you, J3media now offers all these services and more! Visit the J3media website and check out our new social media management and copywriting services to see what we can do for your business! Let’s get back to basics though and revisit J3media’s roots … Before we can get your website looking great and reading well, we’ll have to decide where your website will live. 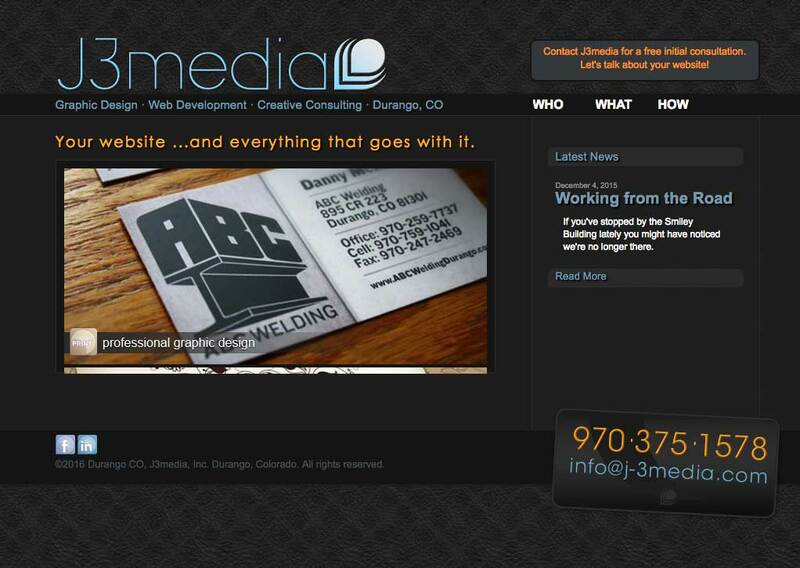 Your website needs a home, and we’ll make sure it gets the best home possible. This is the first step towards your business’ internet success. We offer hosting solutions for businesses ranging from small to large and everything in between. Our hosting plans include everything you need to run your business email and website. Claim your domain name before someone else beats you to it, and rest easy knowing we’ll manage and renew your domain for you.